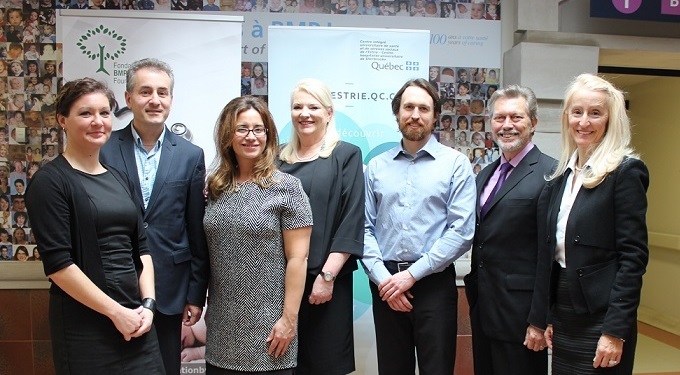 The CIUSSS de l’Estrie – CHUS and the BMP Foundation have jointly targeted three renovation projects in crucial sectors of the hospital for which the Foundation will assume 4.5 million dollars, representing 75% of the total costs. Areas that are better adapted, increased comfort and greater accessibility will be among the many advantages that patients and their families will be able to enjoy in the completely refurbished premises of three care sectors at the Brome-Missisquoi-Perkins Hospital. The total budget for all the work amounts to 6 million dollars, of which 4.5 million will be assumed by the BMP Foundation, an indispensable partner in these large-scale projects. “In light of the doubt and uncertainty showcased by the population surrounding the execution of these essential projects, the BMP Foundation decided to go beyond its usual framework and ensure that these projects were carried out“, explains Mr. Mario Lagimonière, President of the Foundation. With an increase of 43% in its activities, the Outpatient Clinic was targeted as part of the major redevelopment projects put forward by the Foundation and the management of the BMP Hospital. For the first phase of the project, rooms were set up for pre and post surgery consultations. Then, specific rooms were set up for minor and endoscopic procedures such as colonoscopies, colposcopies and gastroscopies. These exams which are now performed in the Outpatient Clinic, will increase the capacity of the Operating Room and thus reduce the waiting time for surgeries under general anaesthesia. 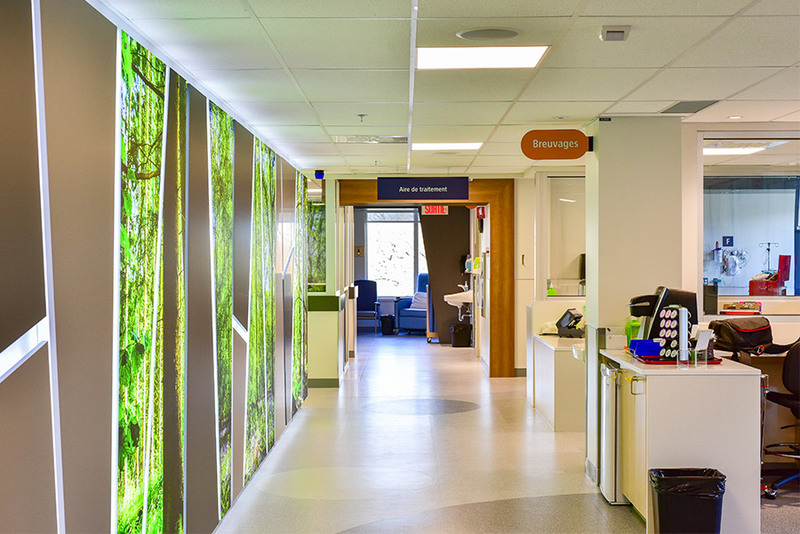 In an often painful and emotional environment, the Hospital and the BMP Foundation wanted to offer more spacious, ergonomic and safe premises to treat patients in complete confidentiality, in a calm, warm and relaxing environment. “The number of patients is increasing every year. In fact, 399 additional treatments were provided between 2015 and 2016. Our new oncology clinic with spacious rooms will enable us to continue responding to the growing demand while simultaneously offering greater privacy and confidentiality to our users,” explains Dr. Shireen Sirhan, our oncologist. Also, the often reduced mobility as well as the prevention of infections for these vulnerable patients were part of the development process Furthermore, the new premises create an atmosphere conducive to exchanges between patients and the medical team. The Orthopedic Clinic will be relocated to the ground floor of the hospital in early 2019. It will be located near ancillary services such as medical imaging, which will then be more easily accessible to this client base with reduced mobility. “We are very proud of the Foundation’s contribution in these major projects which are very significant for the BMP Hospital. We are extremely grateful to our valuable donors and thank them for their support. Their donations make a great difference in the quality of care that we can continue to provide,” explained Mr. Mario Lagimonière.